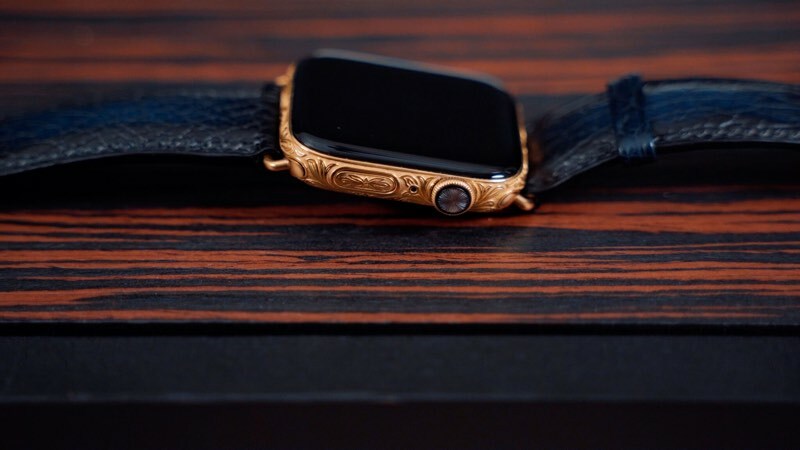 Apple no longer makes a super expensive version of its Apple Watch made out of 18-karat gold, but there are companies out there making custom Apple Watches with gold plating and intricate designs like Aurum Edition for people who just need something a little flashier than what Apple's offering. There are multiple companies dedicated to designing high-end custom iPhone and Apple Watch models, and while such devices aren't for the average consumer, it seems creating ultra expensive hardware made from exotic materials is a lucrative business with a dedicated customer base willing to pay quite a lot of cash for a unique look. The Apple Watch in the video is a 44mm Series 4 GPS-only model that's been overhauled with a custom-engraved gold plating with a floral pattern. It's plated in 24-karat gold that's 8 microns thick, which means it's durable and the gold isn't going to wear away. In terms of functionality, the custom design doesn't cover the Apple Watch Series 4's large screen or the sensors at the back for measuring heart rate, but it does impede the pressing mechanism of the Digital Crown just a bit, making it harder to press. It still works well when scrolling, though, and the haptic feedback feature in the new models is functional. 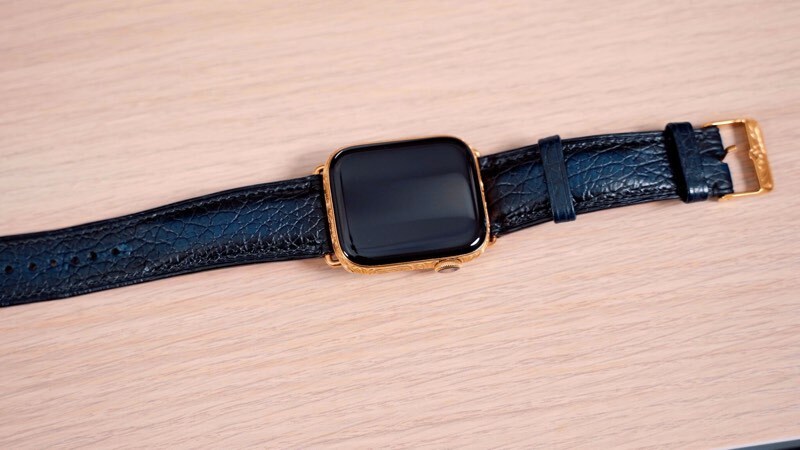 Such a fancy Apple Watch is, of course, accompanied by a fancy band made from a dark blue shark skin leather, and it ships in a high-quality wooden box for the kind of unpackaging experience you'd expect for $2,200. 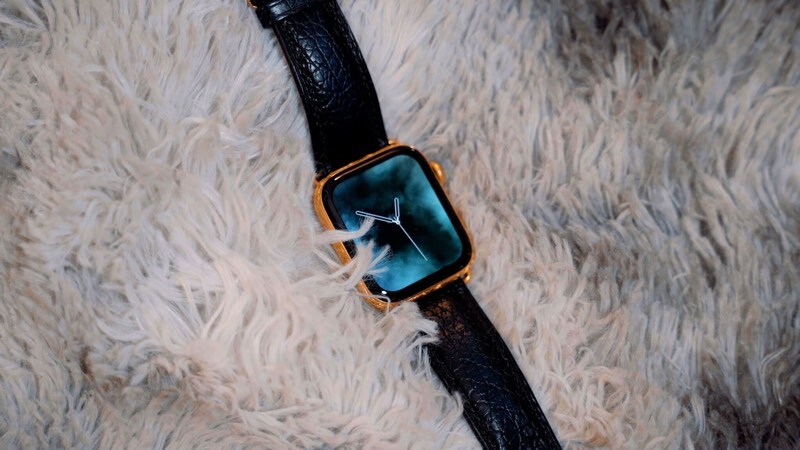 Most of us here at MacRumors are tech focused, like to upgrade regularly, and aren't going to pay so much for an Apple Watch, but there are people out there who like this kind aesthetic and the work that Aurum Edition is doing is impressive. It can't be easy to overhaul such a small device and have it remain functional, and it's certainly interesting to get a peek behind the curtain at what these kind of custom devices look like in person and how they're made. 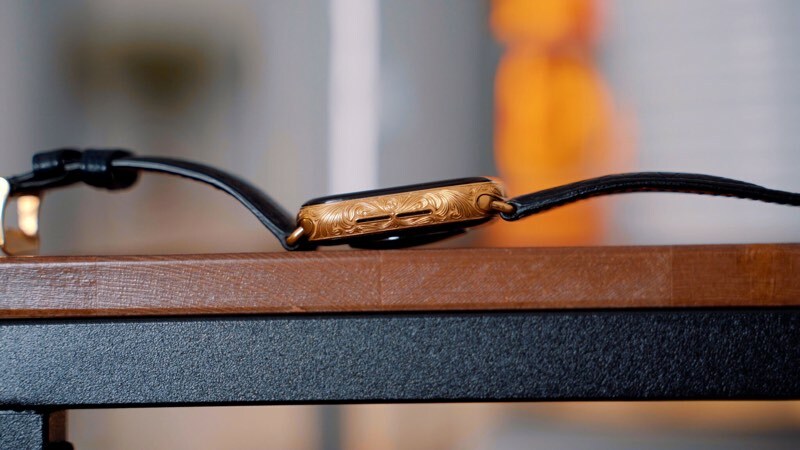 Aurum Edition does make Apple Watch and iPhone models in other designs and from other high-end materials, like platinum, so if you're in the market for a super fancy Apple Watch or iPhone, check out the website. Would you ever shell out so much extra cash for a custom Apple Watch? Let us know in the comments. Stay tuned to MacRumors, because next week we're also going to be taking a look at a custom-designed high-end uber-expensive iPhone from another company. There it is, folks. Your daily reminder that personal taste is subjective. Utterly, utterly subjective. The amount of gold required to make an 8 micron thick coating is miniscule, and the craftsman could spend 400 hours on prettying it up but it will still be obsolete in a year or two. And to my mind, that's still 400hrs wasted. I admire craftsmanship but believe a large part of being a great craftsman is actually knowing where and how to apply your skill. This to me is just pretentious rubbish. All the more worse by the large increases in Apple products recently. LOL Apple isn't responsible for this. Just wow that's beautiful craft. Made all the worse by the relatively large price increases in Apple products recently (e.g. base iPhone and Mac Mini). Excuse me: $2,200 for 40h of work + gold + watch is no 'high price tag' at all. The unboxing experience includes bubble wrap... nothing speaks of higher quality. Not. Dan... what planet are you on mate expecting a custom watch face?